The town of Cass is roughly two hours away from the Briar Point Campground. 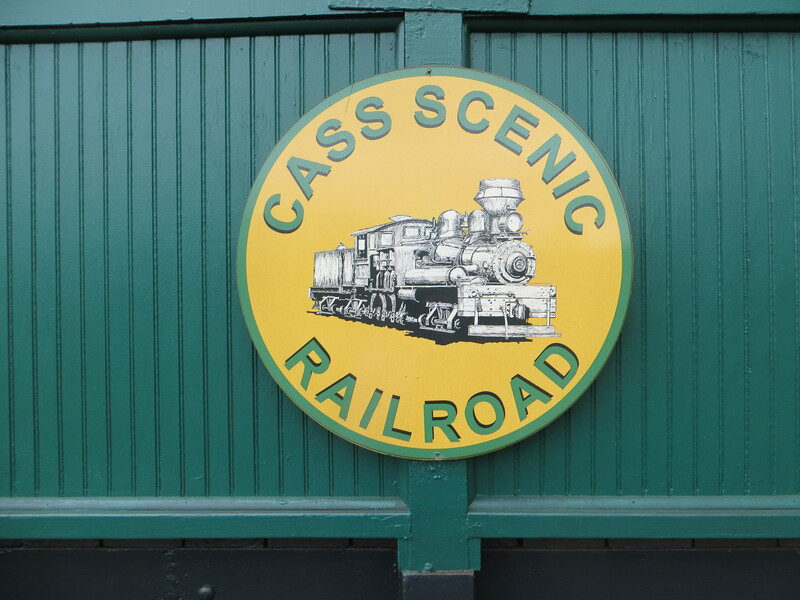 The Cass Scenic Railroad was built in 1901, and is the same line that was used to haul lumber to the mill. The locomotives are the same Shay locomotives used in the early 1900’s. 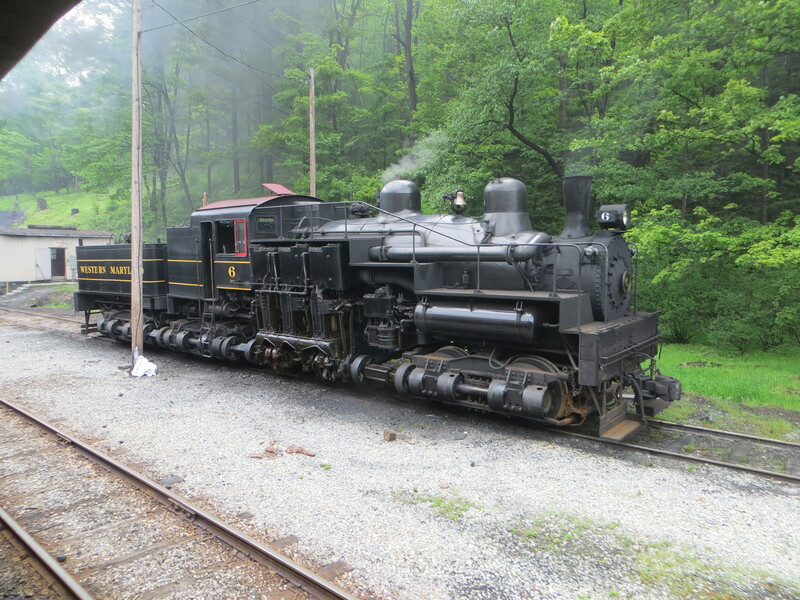 Many of the passenger cars are old logging flat-cars that have been refurbished for the tour. We left the station and headed towards the Whittaker Station four miles away. The trip included two switchbacks. A switchback allows the train to gain quick altitude, and with this trip the train traversed a grade of up to 11 percent, or 11 feet in altitude for every 100 feet of track. After about 45 minutes, we arrived at Whittaker Station, elevation 3,280. 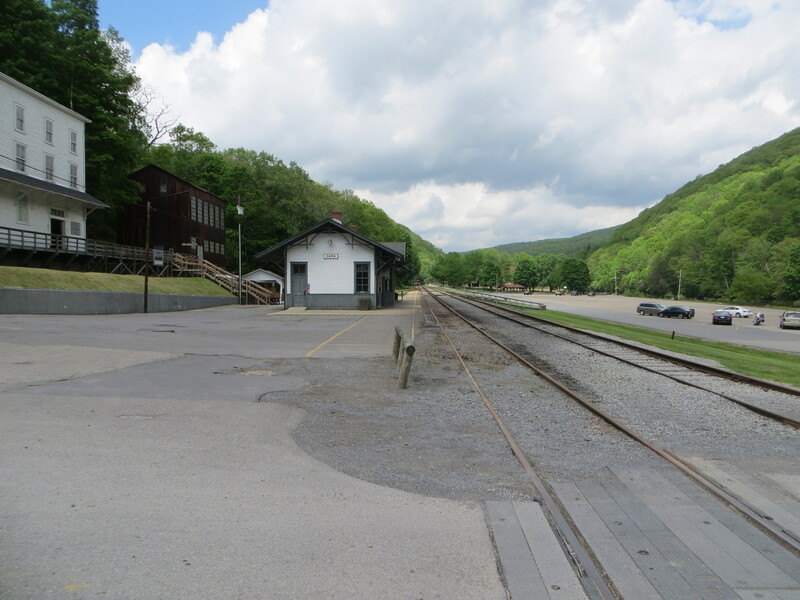 Whittaker is an authentic logging camp of the 1940’s that was recreated by the volunteers of the Mountain State Railroad & Logging Historical Association. 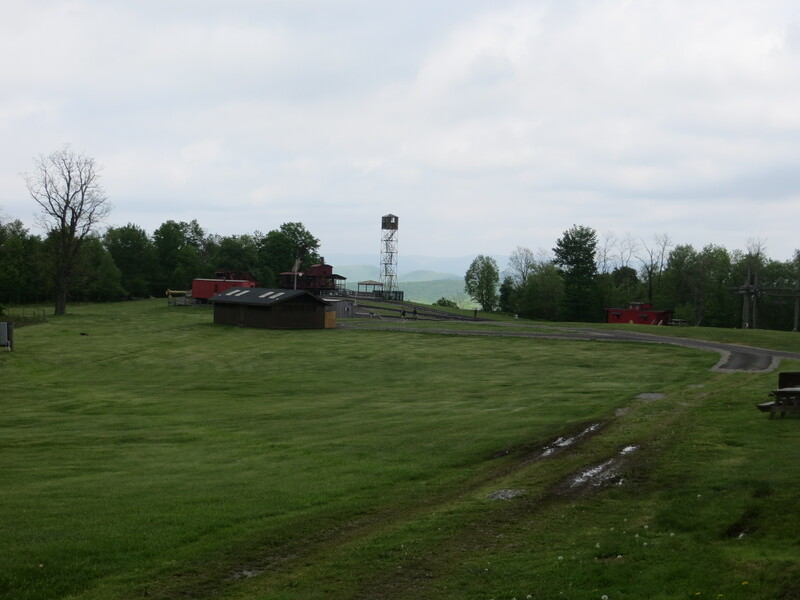 The centerpiece of the camp is a Lidgerwood Tower Skidder , one of only two left in the world. The huge railcar-mounted machine carried logs out of the words on aerial cables high in the air and for distance up to 3,000 feet. When we got back to Cass, we checked out the company store and museum before calling it a day. On the way back the GPS took us a different route. The roads got quite narrow, very hilly, and not very populated. We saw a few small clusters of shanties and not surprisingly there was no cell service. I’m glad we didn’t breakdown and was happy when we got back to civilization.